And YouTube gets a dressing down. a clue what you're talking about. dominated the week in Parliament. to get into the hands of others. influence in British party politics. to the despatch box on Wednesday. with sarcasm, contempt and defiance. Russian state. -- to condemn. condemned his own leader's response. stood at the despatch box. is made by the Government. MPs to change the law. of the death penalty for murder. at the start of every session. of a Bill becoming law. And earlier, I spoke to him. and didn't need to be done this way. have enough time to get through. getting rid of a bill that. be decided is on a boat. commas can be quite important. the spring, cometh the Budget. out of the fiscal hat. He began by characterising his mood. in 19 alone. -- Wendy 18-20 19. Kingdom from their statement today. sitting directly in front of him? for new ways to increase revenue. other news from Parliament in brief. be intimidated in this way. the blaze claimed 71 lives. the time it was supposed to. an exemption from the tariffs. as well as those in other countries. the Communities Secretary has said. the animal an electric shock. to be banned in England. an electric collar on her dogs. in this House, I regret. from the Home Affairs committee. behind the sofa at this point. They should not have been there. have remained up on our platform. of reviewers based in Ireland. Which is not in the United Kingdom. in the UK or not. who were not able to identify them. in order to identify these videos. Generally, I don't know a number. or whether it is done by YouTube. You have no response to that. leads to people losing their lives. improvements. Are we perfect? No. knowing what you're talking about. Julia Butler and our countdown. narrative agent attack in Salisbury. Laughter at Bob Neill there. one Conservative seized his chance. should be made a city? a prime minister say every day. 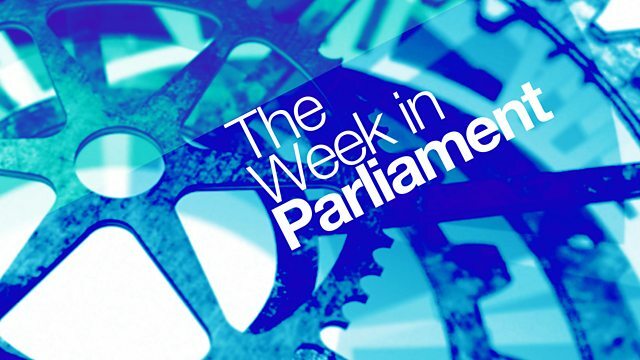 at 11pm on BBC Parliament.